Sooooooo this is my very first giveaway after 5 years blogging. I'm the baddest blogger in the world. I know it right. Anyway, Happy very belated Chinese New Year for everyone who celebrated it. Hahaha I'm always late. I know it too. Say hello to my first sponsor, Zalora. Oh, anyway, this giveaway is only for Indonesia. So sorryyy *deep bow. There are 3 presents for the winners. One present for each winner. 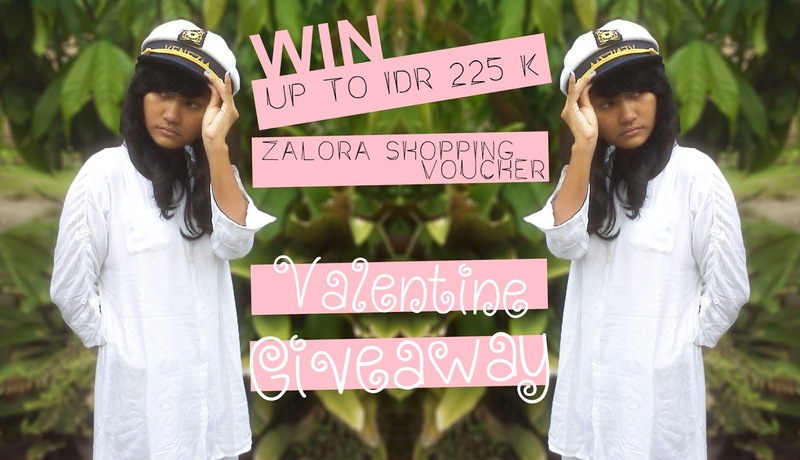 IDR100K Zalora shopping voucher, IDR75K shopping voucher and IDR50K shopping voucher. Has anyone known what Zalora is? Okay, I'll tell you if you haven't known. Zalora is the fastest growing online fashion retailer in Asia. And has anyone known that Zalora is available in Indonesia? With over 400 brands across womenswear, menswear, footwear, accessories, beauty and sports, Zalora is quickly becoming the destination for online fashion in Indonesia. And with a good mix of local and international designer brands, Zalora is the right destination for every shopaholic. I do love Zalora. It's cheap enough for middle-economy like me. They always update new product and all of the product are worth! Okay, let me taking breath first before tell you another reason why I love Zalora. And why Zalora different from other online fashion store in Indonesia. *taking breath* as a super duper hectic student, I don't have enough time to shop offline and you know what? even I don't have enough time to shop online too! The problem is.....I don't have e-banking or any other thing that help you transfer money easier only with your phone. I also never use my parents' bank account to transfer money to shop. (you know, parents, sometime they will be angry when you shop too much. but I can't stop because I like every new thing). Sooooo, I need to go to the bank or ATM (teller machine) whenever I want to transfer money. It takes time. Every minute of my life is important to course, finish homework, group work, study and other things related to school that I hate the most. But with Zalora, I don't need to transfer the money. I can give the money on the spot. So, I just need to choose thing I like, fill the form, confirm that I'll pay on the spot, then they'll send my package and.....I pay on the spot. Voila! The package is officially mine. This is the coolest thing from Zalora. Oh, thing I dislike when shopping online is the shipping cost. I really hate it when I shopped too much and have to pay for the shipping cost that is expensive like crazy. 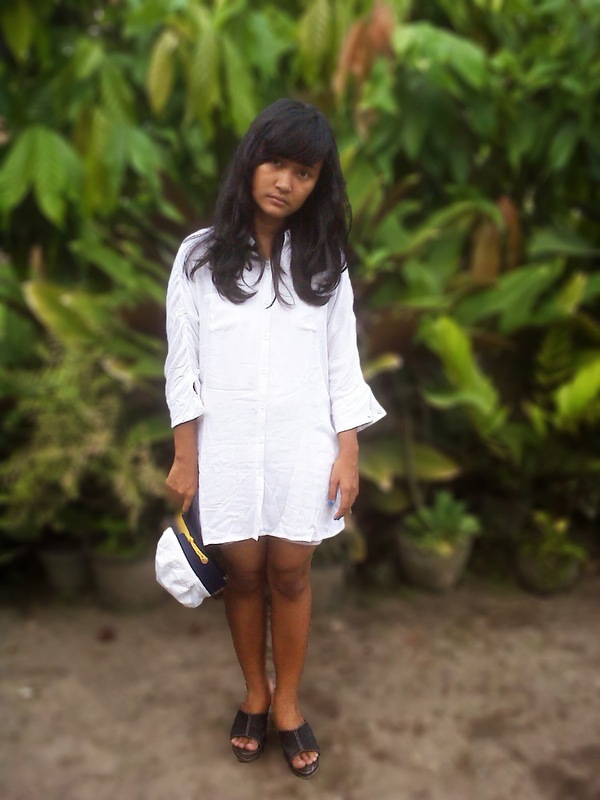 I live in Medan and most of the online shop where I shop is located in Java Island. Sometimes I need to cancel one stuff or two stuff just because of the shipping cost:((( Because I always shop with my own money, I never ask my parents to cover any payment. Soooooo it's really hard for me because of the shipping cost. But guess what? In Zalora, it's free shipping if you're in Jabodetabek without minimum shopping and if you're in other big cities outside Jabodetabek like me, if you shop more than IDR200K, you also get the free shipping. Cool isn't it?! Andddd there's guarantee of your stuff in 7 days. You can change your shopping if it doesn't fit you. Zalora will kindly change it. Just call their customer service. Don't worry! The customer service are very very very kind! Hehehehe sometimes I feel afraid to call customer service. But the customer service of Zalora are very kind! Maybe "Customers are king" is one of their motto. So, what are you waiting for? Go enter this giveaway so you can shop cheaper on Zalora! You have to enter this giveaway by the widget below. The giveaway will be closed on February 14th right on the Valentine day. just let me know if you already follow me. i will follow back. 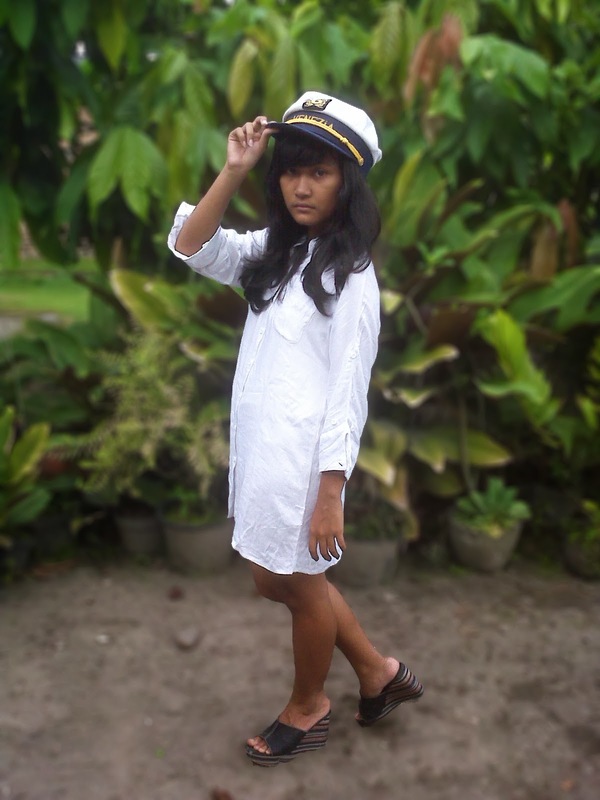 yay i heard of Zalora before , the captain hat looks lovely on you!